Primetime – June 22 to Sept 2 – minimum one week booking. If you are interested in off-season availability (May, June, September and October) please contact us. 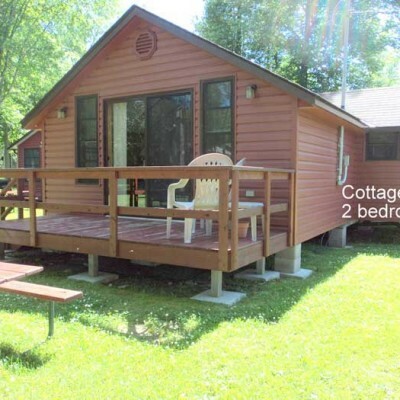 Click on the link below the image of each Cottages to see more details and inside views. 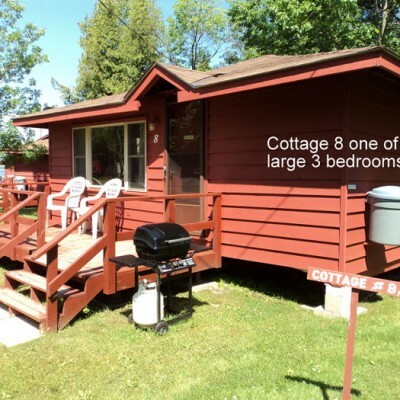 This cottage has wonderful things to recommend it. For more images of this cottage, please click here. 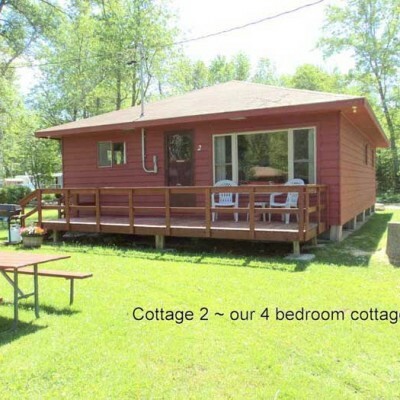 Cottage 2 is our 4 bedroom cottage. It is set back from our other cottages for some added privacy. For more images please click here. 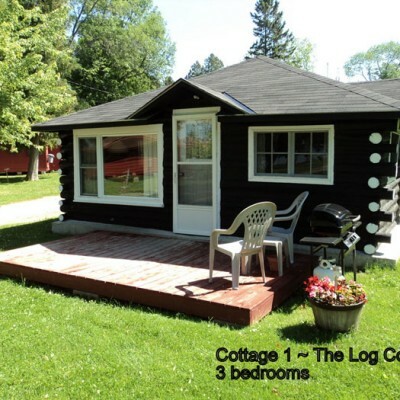 Cottage 4 is one of our small 3 bedroom cottages and has 3 small rooms with double beds, no sofa bed. 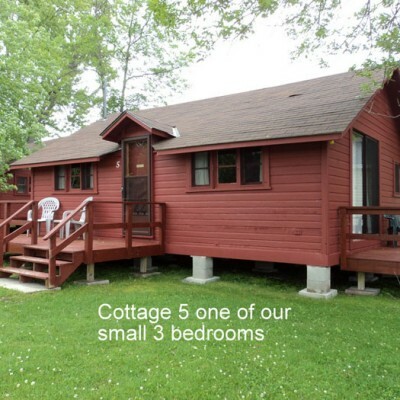 Cottage 5 is one of our small 3 bedroom cottages and has 3 small rooms with double beds, no sofa bed. 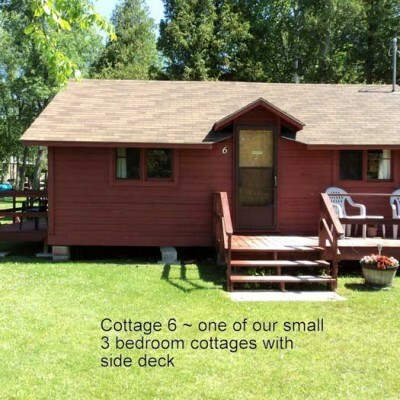 Cottage 6 is one our our small 3 bedroom cottages. 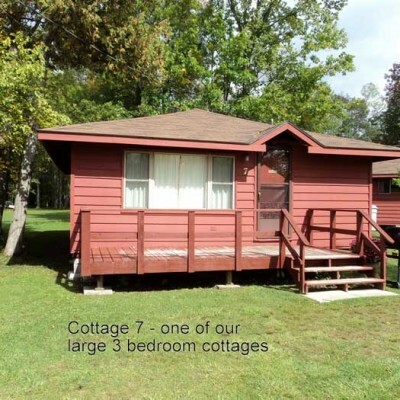 Cottage 7 is one of our large 3 bedroom cottages. 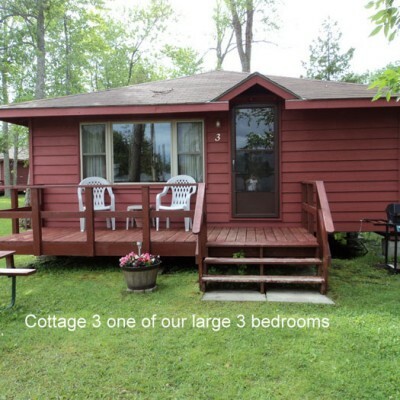 Cottage 8 is one of our large 3 bedroom cottages. Enjoy a lovely view of the lake from the deck. 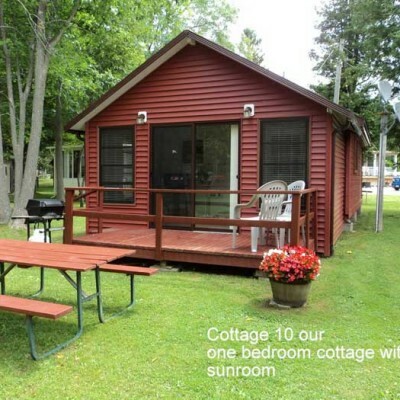 Cottage 9 is one of our 2 bedroom cottages. 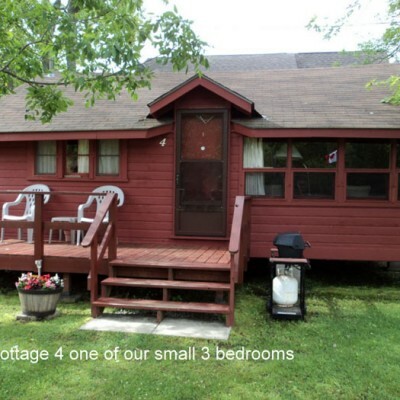 Cottage 11 is one of our 2 bedroom cottages The attached sunroom is the living room and faces the lake for some beautiful views of the sunset. 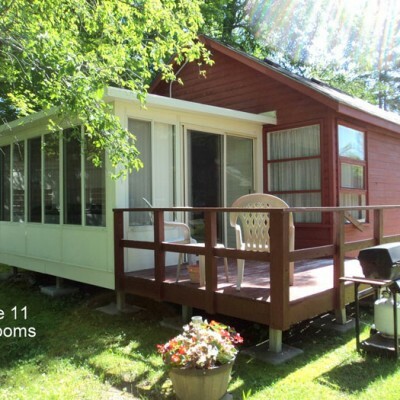 Modern conveniences: -hot & cold running water, shower, colour television, electric fridge and stove, microwave, electric coffee perk, toaster, cutlery, dishes, pots, pans, baking dishes, utensils, ceiling and portable fans, electric heat, deck, propane barbeque, picnic table, 2 lawn chairs.